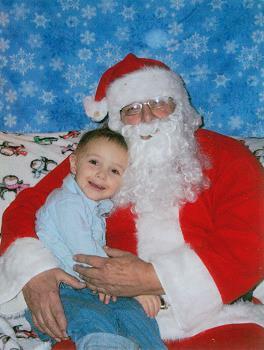 I'm not sure who takes more joy in the Christmas season... Ray or his grandson Lucas. Ray has often been a Santa-sit-in but it's pretty special when you can use those skills to bring joy to your Grand kids. Still working at the U of I until October 2010, then retirement (yea). For the past 6 years I have been Santa out at the local mall. I still have my old Panhead Harley plus a newer Springer Softtail.